Tallow is gently rendered animal oil, usually from cows or sheep. Our ancestors overwhelmingly used tallow to care for their skin until animal products fell out of fashion and were replaced with chemicals, petroleum products, chemically fractionated plant products, and synthetic vitamins. Why do you use tallow? We use tallow because it is nature's original skin care product and works better than the man-made products that began to replace it in the 20th century. Modern-day research has confirmed the traditional wisdom of our ancestors. Tallow contains abundant natural fat-soluble vitamins (A, D, E, and K) and fat-soluble activators, which are found only in animal fats and which all promote skin health. Tallow also contains fats like conjugated linoleic acid (CLA), which has anti-cancer and anti-inflammatory properties, and palmitoleic acid, which has natural antimicrobial properties. No plant-based skincare ingredient or product can remotely compare to tallow in its power to nourish and heal the skin. This fact is not surprising since we are animals and not plants. Where do you obtain your tallow? We render all of the tallow ourselves from beef suet (interior fat), and not scrap fat, using our own special process, with the lowest heat possible and no water (i.e., not the "wet" method), ensuring that the tallow will not undergo oxidation or rancidity. Even from the suet we do receive, we are very selective about what material actually goes into the rendering. We don't obtain tallow rendered by others because we want it done our own special way as described for the sake of quality, stability, and maximum therapeutic benefit to the skin. We cannot know or rely on how others might produce their tallow, and we want full control over the process and the quality. We obtain the suet from Flying B Bar Ranch, James Ranch, Princess Beef, Sun Prairie Beef, GrassRoots Meats, Oswald Grass-fed Beef, KW Farms, and Larga Vista Ranch in Colorado, Lohof Grass-finished Beef in Montana, and other ranches where the cows are 100% grass-fed, which is important for the superior therapeutic value of our Tallow Balm. Tallow from cows that are only fed grass has a better mineral and micronutrient profile, including higher levels of vitamins. For example, one study found that grass-fed cows have four times the vitamin E of grain-fed cows. Also important to the nutritional value of the tallow, as well as important to us personally, is that "our" cows are happy and healthy, humanely raised without cruel feed lots or cruel slaughterhouses and without pesticides, drugs, hormones, or chemicals of any kind. Why do you include olive oil? We add a little olive oil to the tallow because of its therapeutic qualities. Since ancient times, olive oil has been considered a healing salve for the skin due to its soothing, cleansing, moisturizing, and anti-cancer properties. We now know that these properties are, in part, a result of olive oil's high levels of antioxidants, like vitamin E, carotenoids, and oleuropein. Where do you obtain your olive oil? We obtain it from Chaffin Family Orchards in Oroville, California. The olive oil is extra virgin and cold-pressed from estate-grown heirloom Mission olives, farmed the centuries-old way without pesticides or chemical fertilizers. It is pressed right at the orchard, eliminating any chance of contamination with other oils. Why do you include fermented cod liver oil, fermented skate liver oil, and concentrated butter oil in Epic Glow and Oh Aches! (instead of olive oil)? Since ancient times, these animal oils have been considered healing salves for the skin and also for muscles and joints due to their soothing, cleansing, moisturizing, and deep-penetrating properties. We now know that these properties are, in part, a result of their high levels of antioxidants like vitamin A, vitamin E, squalene, and their other fat soluble nutrients. Where do you obtain your cod liver oil, skate liver oil, and butter oil? We obtain them from Green Pasture™ because theirs are the purest, highest quality available. Their Blue Ice™ Fermented Cod and Skate Liver Oils are produced from fish that are wild-caught in the Bering Sea, and made in small batches with traditional methods and extraordinary care. Their X-Factor™ Gold Concentrated Butter Oil is from cows grazing on 100% rapidly growing green grass. 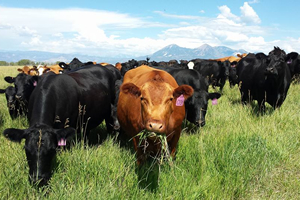 The speed of grass growth, the timing of the grazing, the species of grass, the climate, and the extraction method are all important factors that make it the best available. Why do you include essential oils? The essential oils used in our products are specifically selected because of their long-standing tradition of promoting optimal skin health, and they are expertly blended to give our Tallow Balms a fresh, pleasant scent. We only use the most pure and therapeutic essential oils available, produced to the highest standards in the industry, steam-distilled from plants grown at the highest standards and not adulterated, extended, synthesized, or distilled using chemicals or high temperatures and pressure. People who have had problems with other essential oils have found that they don't have problems with the ones that we use. 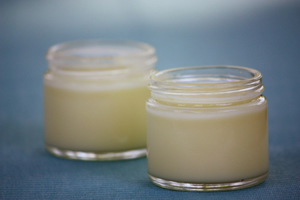 What is the consistency of your Tallow Balm? Our Tallow Balm is thick as well as soft, spreadable, and easy to use. It contains no water, and a little goes a very long way! We have a secret method for making our Tallow Balm soft, achieving the best possible consistency without whipping air into it or using any chemicals. Is your Tallow Balm greasy? Our Tallow Balm is readily absorbed by the skin. Therefore, applying the Tallow Balm does not result in a greasy look or feel. It is taken up by the skin as nourishment and softens the skin quickly. If your skin doesn't absorb what you apply, then you are applying too much. Remember that a little goes a long way. Is your Tallow Balm organic? Our Tallow Balm is not certified organic. However, all of our suppliers use the best methods in production, which include a non-toxic, chemical-free approach to farming with healthy soil and an overall healthy ecosystem without pesticides or any other chemicals. It is costly and time-consuming for a farm to be certified organic, so many excellent producers choose not to be, especially since the large ongoing expense of certification has to be passed on to the consumer. Many consumers choose to "certify" the products they purchase by buying directly from suppliers that they trust, and we do that in your place when obtaining the ingredients for our Tallow Balm. What is the shelf life of your Tallow Balm? Our Tallow Balm is most fresh when used within about a year of of the "sell by" date found on the bottom of the product. All of the ingredients of our Tallow Balm are very shelf-stable. The essential oils in many of our varieties tend to keep the balm fresh much longer than one year, even for years. Of course, we do not use toxic preservatives or any other chemicals. Simply keep the jar tightly capped. For long-term storage, keep any jars you aren't currently using in the refrigerator. Why does your Tallow Balm vary in color, consistency, and scent? Our Tallow Balm is not chemically engineered to be always the same, which is a good thing and part of the reason it works so well! The ingredients come directly from nature and not from a laboratory. Therefore, our Tallow Balm can vary from batch to batch in color, consistency, and scent. It is a characteristic of a truly natural product to vary because of many different factors. The principal ingredient of our Tallow Balm is tallow, which varies according to the season, the animal, and other conditions. In addition, the Tallow Balm is hand-made, not machine-made. Finally, tallow is more solid at lower temperatures and softer at higher temperatures. If you let your Tallow Balm get so hot that it melts, it may be more firm when it re-solidifies, but it will still be perfectly usable and won't lose any of its effectiveness. Please note that the Totally Unscented variety tends to be a little less soft since it contains no essential oils. My Tallow Balm is not as smooth as I expected. Why? We're sorry your Tallow Balm is not perfectly smooth. As explained above, since it's a completely natural product, it varies from batch to batch. When we make the Tallow Balm, it is always smooth, but the consistency can sometimes change even after it leaves us, particularly if it gets cold. 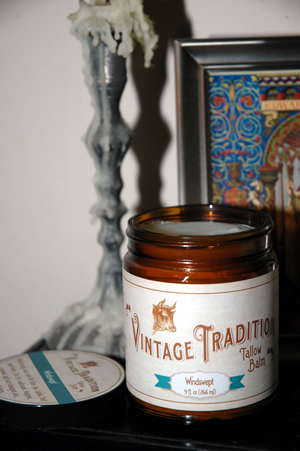 Please try rubbing the Tallow Balm between your hands to warm it up and smooth it out before applying it. You could also try warming the jar up for just a minute in the toaster oven at the lowest temperature without the lid on. If these methods are not a satisfactory solution for the particular jar you have, please contact us. Sorry for the inconvenience! How can I make my own custom scent? To make your own custom scent, you can try stirring the essential oil(s) of your choice into our Totally Unscented Tallow Balm. You can also try adding extra essential oil to one of the scented varieties. Adding oil could be difficult since the Tallow Balm is solid although soft. Therefore, you could melt it down at around 150°F, stir in oil, and let it re-solidify in the refrigerator (for smoothness), and then let it warm up to room temperature. However, the Tallow Balm may be more firm than before melting it. Another alternative is to rub some Tallow Balm between your hands and then add a drop of an essential oil, which will also make the Tallow Balm even smoother to apply. Which variety of Tallow Balm should I use for...? Since the principal therapeutic ingredient of our Tallow Balm is the tallow, any variety will be great for your purpose. All of the essential oils that we use are therapeutic to the skin as well, and we use only the very best (see above), so you can't go wrong in your choice. (See the following questions regarding children and pregnant women.) You may like to research which essential oils are best for you in order to choose among our varieties, and you can also apply additional essential oils along with the Tallow Balm. The balm also serves as an excellent carrier oil for applying essential oil. Simply apply essential oil immediately after applying balm. Which variety of Tallow Balm is best for babies or small children? Except for the Deodorant Tallow Balms, the concentration of essential oils in all of our products meets the National Association for Holistic Aromatherapy safety guidelines for infants, toddlers, and young children. Nevertheless, you may wish to use Totally Unscented or Almost Unscented. The essential oils in Almost Unscented (lavender and cedarwood) are among those generally regarded as being more than gentle enough for use with babies and small children. Which variety of Tallow Balm is best for pregnant women? You may wish to use Totally Unscented or Almost Unscented. The essential oils in Almost Unscented (lavender and cedarwood) are among those generally regarded as being fine to use in pregnancy. Are your Tallow Balms gluten-free / wheat-free / soy-free / nut-free / peanut-free / dairy-free / egg-free / shellfish-free? Yes, our Tallow Balms are free of all of these substances, containing only tallow, olive oil, and essential oils. (The Green Pasture™ products contain butter oil, cod liver oil, and skate liver oil instead of olive oil.) Our production area and equipment are dedicated exclusively to making our Tallow Balm, so there is no chance of other substances being introduced into our products. How is your Tallow Balm packaged? Our Tallow Balm is packaged in glass jars and paperboard tubes. 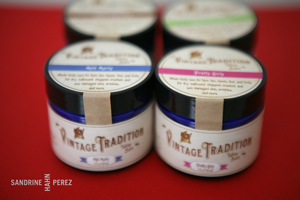 The recyclable glass jars have a recyclable BPA-free plastic lid which doesn't come in contact with the Tallow Balm. 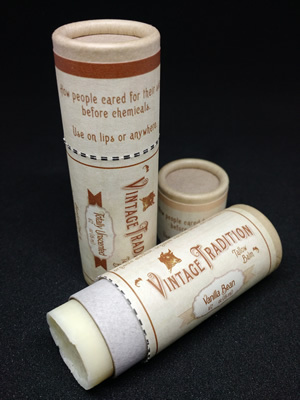 The paperboard tubes are sturdy and environmentally friendly and are made from recycled paper, except for the inner paper lining, which is virgin paper (so the Tallow Balm does not come into contact with recycled paper).